There has been a massive deployment of security personnel at the Uganda-Dr Congo near Queen Elizabeth National Park as security agencies from both Uganda and DRC intensify the search to rescue an American tourist and a Ugandan driver who were kidnapped in the park on Tuesday evening. The hostages were kidnapped at gunpoint by four armed men while on their evening game drive in the park. The two kidnapped individuals were Ms. Kimbley Sue Endecott, 35 an America tourist and Mr. Jean Paul, a Ugandan driver who was guiding the tourists. According to reports, the kidnappers are asking for a ransom of $500,000, equivalent to about Shs1.9 Billion in order to release the hostages. Together with the two kidnapped individuals, were other two tourists, Mr. Julius Martin and his partner Barbel who were left in the tourist van unharmed though the kidnappers took away the car keys. The security forces deployed for the hunt are comprised of joint teams including forces from the Uganda Peoples Defense Force (UPDF), Counter-Terrorism forces and Tourism Police. The forces right away started the rescue mission in the area spanning 30 square kilometers between the park and the Uganda-DR Congo border to find the missing tourists and capture the kidnappers. Uganda’s Deputy police spokesperson Polly Namaye said that they suspect that the kidnappers together with the hostages are still in Uganda. “We want to inform the public and all visitors in the country that the joint security teams have cut off all exit areas on the border between Uganda and the DRC in search for the victims”, he said. He added that although kidnappers had asked for ransom when they called using one of the victim’s phone, police have ruled out giving it to them. “we are all in the national park and we hope to be successful. We have enough security personnel in the park but the criminals normally use the porous border entries to cross and cause havoc”, said the Kanungu Resident District Commissioner Shafique Ssekandi. He added that Inspector General of Police (IGP) Martin Okoth-Ochola and other UPDF field commanders had also joined the hunt to rescue the victims. Mr. Ivan Mbabazi Batuma, the chairperson of Kigezi tourism cluster called for increased security in the park to ensure the safety of tourists and other travelers. He said that attacks in the park have become rampant mentioning some of the recent incidents like in January when a resident of Munyaga Cell was kidnapped by Congolese militia who demanded a ransom of Shs2 millions. Later the victim was released after his relatives had paid Shs1.5 millions to the kidnappers. The chairperson of Kihihi Sub-County where the incident happened, Mr. Nelson Natukunda urged the government to intensify security at the border to stop the militia from DR Congo crossing into Uganda. He added such militia should be stopped from accessing places like Queen Elizabeth National Park where they have continuously committed crimes against tourist and other Ugandans. The Tuesday incident was not the first to happen in the area. In 1999, the Congo-based Hutu rebels attacked and killed 8 tourists who included Americans, Britons and New Zealanders in Bwindi Impenetrable National Park in Southwest Uganda. Queen Elizabeth National park is Uganda’s second largest wildlife reserve after Murchison Falls National Park in the Northwest of the country. 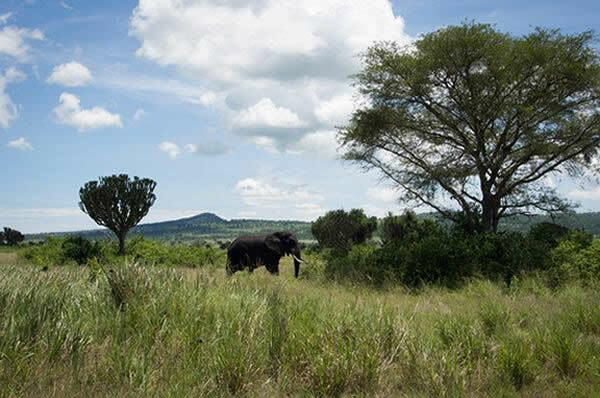 the park is commonly known for incredible game drives that allow tourists to see all the African “big five” that include lions, leopards, buffaloes, elephants, and the rhinos. The park is the home for the famous tree-climbing lions together with hundreds of other mammal species and birds. On the other hand, Bwindi Impenetrable National Park in the South of Queen Elizabeth National Park is the home to more than half of the global population of mountain gorillas. The park is well known for breathtaking gorilla safaris in its steep and rugged terrain coupled with thick vegetation.